Here at Johansen Precision Eye Care, we are committed to providing our patients with the best possible treatment and highly personalized service. We work hard to ensure that you’ll be satisfied with the care you receive since our relationships with our clients are a top priority. As a trusted eye doctor in Greenswood, SC, and the surrounding areas, Dr. Johansen is ready to help you attain better visual health. We are also able to treat a variety of ailments including myopia, hyperopia, macular degeneration, amblyopia, glaucoma, cataracts, and red or pink eye. Dr. Johansen even treats eye problems that manifest themselves as symptoms of other problems; he specializes in diabetic ocular health. If you worry about your visual health, are experiencing strange symptoms, or simply need a routine eye exam, we’ll be happy to help. In addition, we offer a number of different products to help you improve your vision. Whether you are looking for scleral contact lenses or HD eyeglasses, we have the products you need. 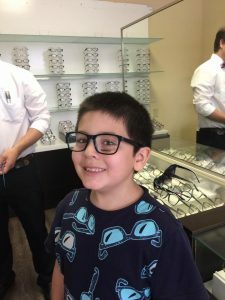 We offer a unique selection of high quality eyewear, including lenses, frames, and both regular and specialty contacts. Our partnerships with top brands such as Vera Wang, Ray Ban, and Nomad ensures that you’ll have access to the best eyewear available. Our entire staff is dedicated to building relationships with our clients, and the practice is very involved with the surrounding community. No matter what problems you’re experiencing, your vision is our mission. Dr. Johansen and our entire team are ready to help. If you have questions or would like to schedule an appointment, simply call us today at (864) 543-3939 or use our convenient online form. We look forward to seeing you. I know that this new business will welcome everyone with open arms. I am a Veteran and do not want to travel to Augusta GA VA just for an eye exam. I live in Ninety Six and look forward to being seen.